Meat companies across the United States ultimately strive to provide consumers with the type of products they're willing to buy - it's not a difficult concept to grasp. However, various reports present food organizations with disparate intelligence. While some surveys suggest people proactively search for meat taken from animals that were humanely raised, other studies indicate people couldn't care less. Procurement departments within U.S. companies are looking at a number of factors when it comes to purchasing livestock from farms, slaughterhouses and other similar facilities. 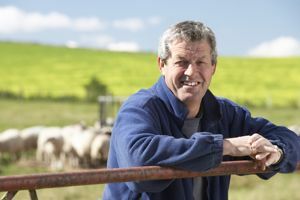 Depending on the target audiences their employers strive to accommodate, some procurement officers make look to build relationships with farmers who don't give their livestock hormones or antibiotics, for example. Identifying which businesses to align themselves with obligates meat-selling enterprises to determine what kind of products their customers are looking for. The differences between ethical livestock-raising and antibiotic usage must be established. These issues are often confused to be under the same umbrella, but there are some consumers who may not care about what farmers are giving their livestock as far as hormones are concerned. However, those same consumers could care about how those animals are treated. Although the AHA has been around for some time, it's still gaining traction among companies competing in the food industry. The association presents itself as an authority on what defines humanely raised livestock, but consumers apparently have a different perspective. When asked whether scientists, farmers or veterinarians should establish humane raising standards for farms, 99 percent of AHA's survey respondents believed such professionals should work together. This attitude should be reflected in the procurement process as well. Consulting veterinarians, zoologists, farmers and others to determine how a company should judge whether a rancher is treating his or her animals ethically will give purchasers a clear picture of what look for in an ideal supplier. A press release submitted by the AHA noted the number of farm animals under its American Humane Certified™ program grew nearly 1,000 percent over the past four years. That means approximately one in every eight animals on U.S. farms and ranches is accounted for by the association. "Americans are increasingly interested in where their food comes from and how farm animals are treated," said AHA CEO and President Dr. Robin Ganzert. "The welfare of animals has always been a key issue for America's farmers and with growing demand from the public for humanely raised foods, enlightened farmers, ranchers and producers are seeking trustworthy, independent, science-based humane certification to verify good practices to retailers and the public." Many would argue that purchasing officers are obligated to validate a farmer's claim when he or she states that his or her animals are certified by the AHA. This is where the investigation component of strategic sourcing comes into play. Receiving accreditation from an organization shows commitment, but there could be other elements at work that associations are overlooking.